Click on your question to open the answer. I found a little hedgehog in Nov/Dec/Jan/Feb/Mar what do I do? Pick it up and weigh it. If it is under 450g coming in to winter and you leave it outside IT WILL DIE. No arguments. Research has shown that any youngster under 450g will not make it through, it will either die in hibernation or from starvation in freezing weather. Rescues prefer to err on the side of caution and advise helping anything under 600g. If it's borderline or slightly above that and you put out food and water right through the winter they should survive unless they are out in daylight looking like they are sunbathing. Those will need immediate help. However, many rescues at this time of year are completely full and getting dozens of calls a day. If you think you can provide a safe overwinter home to the little on then all the information you need is on our overwintering page. I want a hedgehog for my garden. We get asked this more than just about anything and our answer is almost always the same. If you have no hedgehogs in your garden right now, then you need to find out why you don't. If hedgehogs are missing from your garden, there will be a good reason for this and releasing one there may result in its death therefore we do not give out hedgehogs unless you have hedgehogs going in and out of your garden already. We will not give hedgehogs out to eat your slugs. No hedgehog can survive on a diet of slugs and they are less than 5% of what they normally consume. No hedgehog could possibly clear your garden of slugs. Try Una Dunnett's Garlic Wash instead. We will not give hedgehogs out to live captive in your garden or house. These are wild animals that travel huge distances every night, they have many nests they rotate between. You cannot possibly provide what they need in a small space. We will not give out pairs of hedgehogs so you can have a little family in your garden. Hedgehogs do not live in families, they are solitary and only come together for mating. The female has normally mated with more than one male so a litter can have several different fathers. If the babies are born and a male is there he will kill them. If mum feels threatened by the presence of a male, she will kill the babies herself. Please do not try to persuade yourself that your garden/circumstances are different, we've had far too many dead, dying, and severely injured babies brought in from people who knew better and that includes some of the newer rescues. It is possible that there are hogs and you don't see them. Ask your neighbours if they see them. 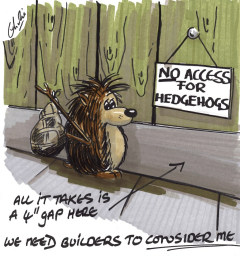 Check your boundaries, can hedgehogs get in and out? They need gaps at least 10cm round on each boundary. Check your neighbour's boundaries. Do they have brick walls or concrete footings to fences? What is around your garden? Do you back on to farmland or parks with no hedgerows? Are they using pesticides and weedkillers? Is there a building site, new housing, new roads, very little greenery? Do you have a large badger population? Badgers will only kill hogs if there is nothing else to eat but hogs are not daft and won't hang around. Do you or any of your neighbours have dogs that attack other animals? Have you or your neighbours been putting out rat poison? Hedgehogs will eat poisoned rats and get poisoned themselves. Have you or your neighbours been putting out slug pellets? Hedgehogs will eat poisoned slugs and get poisoned themselves. Otherwise follow the instructions further down this page to make a feeding station and see if you can attract them in. I want to foster/adopt/overwinter a hedgehog. Are you sure you understand what you are asking for? We only send hedgehogs out for fostering or overwintering from November onwards. These animals must be kept indoors somewhere quiet. They are cleaned out, fed, watered and weighed daily then left alone. We want them wild when they are returned to us in the April/May for release where they came from. If you have children they must be made to understand that these animals are not to be played with, taken out of their cages, taken to school nor shown to friends. Wherever they are kept indoors it must be away from household noise and pets. No radios, TVs, washing machines. You will be required to email weights weekly without fail. Whilst they are with you you may not go away and leave them alone nor hand them to somebody else to look after. We will not send hedgehogs out further than 25 miles of the centre. Please do not ask, the answer will always be no. No exceptions. 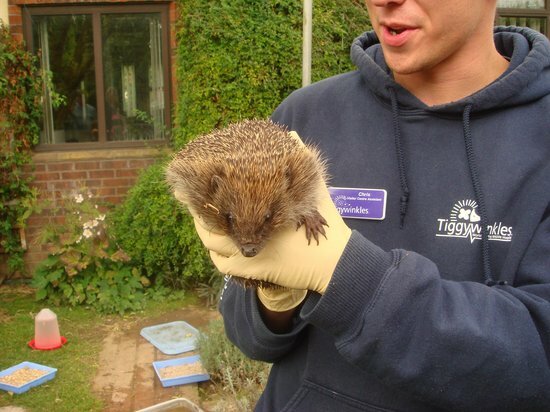 We will not send hedgehogs out to schools/colleges/animal care courses. These are wild animals and need to stay wild, they are not to be kept captive even for educational purposes. You will not be able to release in your garden unless we have done full checks on the area. We will not give hedgehogs out to live captive in your garden or house. 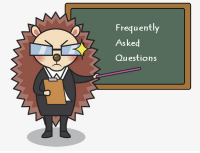 If you are asking because you want a hedgehog for your garden please check the previous FAQ - I want a hedgehog for my garden. What food can I give visitors to my garden? ABSOLUTELY NO BREAD OR MILK EVER! Ideally offer a balanced diet and that means hedgehog biscuits such as Spikes or Ark, cat biscuits or meaty dog food. A dish of fresh water daily is all that is required and is especially important in dry weather and when offering dry food. Never give bread and milk; you will make the animal unwell; they are lactose intolerant. A lot of people like to give treats. Please don't. Mealworms, peanuts and sunflower hearts are all high in Phosphorus and low in Calcium. The parathyroid tries to balance out calcium and phosphorus in the blood and will take the missing calcium from the bones and teeth resulting in metabolic bone disease. They are the equivalent of hedgehog junk food and if you don't believe us, have a hunt around for papers on Ca:P, or, there is a very good video with x-ray evidence produced by Vale Wildlife Hospital's vet Tim Partridge. If you must give these, just a few on top of a nutritious diet as detailed above but NEVER bowls full of them. The only peanuts that should ever be put out are nibs or crushed. Salted peanuts, whole or half nuts are dangerous to all but squirrels and ideally should only be put in wire feeders to prevent choking. Sultanas get stuck on teeth and cause tooth decay. 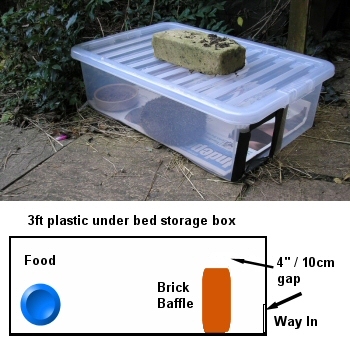 All you need is a long plastic underbed storage box with a lid. You can pick these up cheaply at poundstores. With a sharp Stanley knife, score a 4" (10cm) square in one end, do not press too hard or you'll crack the plastic. Keep scoring until you can cut right through. Remove the square, rub down any sharp edges with sandpaper or use gaffer tape to cover them. Put newspaper on the bottom, your food in a dish in the box, put the lid on and then place it somewhere you can watch from the house. If you put food and fresh water out daily, including right through the winter, hogs will get to know it's a reliable source and will come in each night. Does my hedgehog have fleas? It's an old wives tale that all hedgehogs have fleas, and some people take the tale further saying hedgehogs need fleas to survive. It's rubbish. We rarely see any hedgehogs with fleas and if we do, hedgehog fleas are host specific so while they may jump onto a cat or dog, they won't infest them. We do however see lots of ticks. These must be correctly removed with a tick hook or lasso, please do not oil them or coat them with anything. If you stress the tick it will spit its stomach contents back into the host causing blood poisoning. Are Hedgehogs meant to be out in daylight? Hedgehogs are nocturnal, which means they shouldn't really be seen out in full daylight. Dawn and dusk may be OK as long as the hog looks like it's going somewhere. Some of the exceptions to this are pregnant females gathering nesting materials just before she gives birth, or a new 'Mum' taking a break from the nest to get food and water while her young sleep. If a hedgehog is lethargic, lying flat out, has flies around it, is wobbly, or gives you any other cause for concern, cover it with a box so it can't wander off then call us for advice ASAP. There's a hedgehog sunbathing on my lawn. Hedgehogs are nocturnal, they come out after dark and shouldn't sunbathe. If you see one doing this it is in urgent need of help. Put sheets of newspaper in the bottom, an old non-loop towel or fleece to snuggle into, and a wrapped hot water bottle in the bottom for the hog to lie on. Make sure there is room for it to get off if it gets too hot. Offer a heavy bowl of water but do not feed unless the animal is going to be with you for some time. Contact a rescue immediately. I've got a hedgehog that's very wobbly. Is that normal? No, it isn't. Hedgehogs like this are actually hypothermic and in urgent need of help. Please give the first aid described above and call your nearest rescue urgently. Help! I've injured a hedgehog. Undoubtedly one of the most worrying calls we receive. PLEASE check areas thoroughly before strimming or mowing. 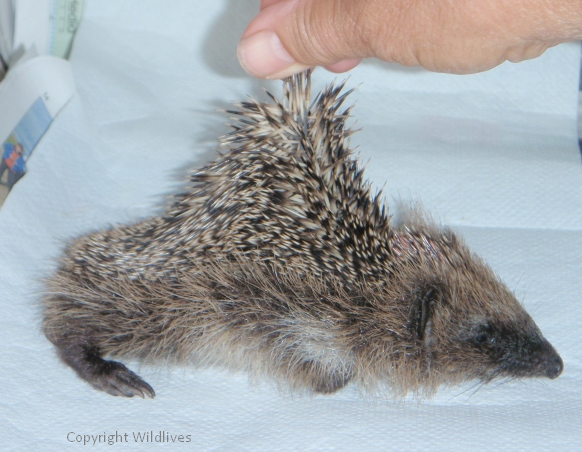 These injuries are usually horrific and the hedgehog often has to be put to sleep. Many are killed instantly with this kind of accident. Please check for babies as the nest you have strimmed could be a nursery. Hoglets are tiny and can be easy to miss so check carefully. If mum has run off make sure any hoglets are safe and covered then stand back and wait for mum to come back. If she looks injured then grab her and get her in a box as described above, then put the babies with what's left of the nest in a seaparate box and head for your nearest rescue as fast as possible. The hedgehog is upsetting my dog, can you move it? Unless you are prepared to hedgehog-proof the entire garden, there is no point in moving the resident hedgehogs as others from the local population will very likely move into the vacated area. If you are prepared to do this work, the best thing is to contact a local carer to see if they can safely relocate the hedgehog (avoiding baby season). 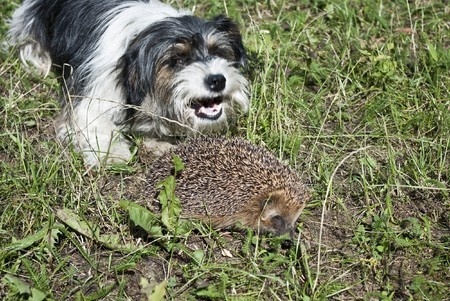 Otherwise, training the dog to leave hedgehogs alone is the ideal solution, taking the dog out for its 'after dark' run in the garden on a lead, using a soft cloth muzzle and making lots of noise before the dog goes out to warn the hedgehog something is happening can help. 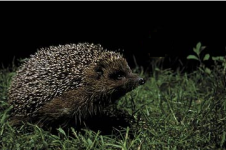 Hedgehogs often have a routine so if you see a hedgehog about at a certain time it is likely to be around near that time the next night - avoid letting the dog out at those times. Can we visit the hedgehogs? Hedgehog Bottom is a hospital and is not open to the public. There are a number of reasons for this. Firstly we would need a zoo licence with all the facilities that would involve. Second, the animals, they are with us because they are sick, once well they are released back to the wild and they need to be frightened of humans so they run away. Wild animals get extremely stressed in human presence and it does not do a lot for their recovery. We also have animals here that have transmissable diseases and some of those can be passed to humans. If you have a child who would like to see hedgehogs the best place to go is St Tiggywinkles in Haddenham near Aylesbury. They have a visitor centre with lots of hedgehogs and other wildlife. I've got loads of slugs here it's ideal for Hedgehogs. Hedgehogs are not slug killers and should not be viewed as such. The normal diet of a hedgehog is earthworms, caterpillars and beetles. Slugs and snails are less than 5% of their diet and usually only eaten in any quantity if there is absolutely nothing else available. 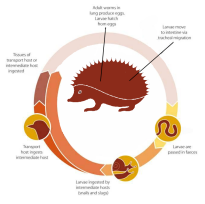 Slugs give hedgehogs lungworm which is life-threatening and should be avoided at all costs. Please do not resort to slug pellets. If the slug eats a pellet then the hedgehog eats the slug, both will be poisoned. There are other options for protecting your plants such as Una Dunnett's Garlic wash which is used by the National Hosta Society. Can I keep a wild hedgehog as a pet? No you may not, they are a wild animal and covered under the Animal Welfare Act. You may be confusing our wild hogs with the exotics bred for the pet market. These animals are expensive to maintain and need somebody who knows what they are doing. Do not even think about getting one until you have done a lot of research. Shouldn't my hedgehog be hibernating? There is no requirement for hedgehogs to hibernate. The trigger is unknown but probably relies on a number of things such as health, the amount of brown fat on board, how much natural food is around, how cold it is at night. Any or all of those can cause them to go to sleep. Each animal is different. Put food and water out right through the winter for those that are late or early and those in trouble. I disturbed a sleeping hedgehog. First check the hedgehog is not injured. If it is contact a rescue immediately otherwise it will need a new home. Use gardening gloves or a folded towel to pick the hog up with any remaining nest material if possible then pop it into a high-sided box and put it somewhere quiet and safe while you make a temporary house. Directions below. 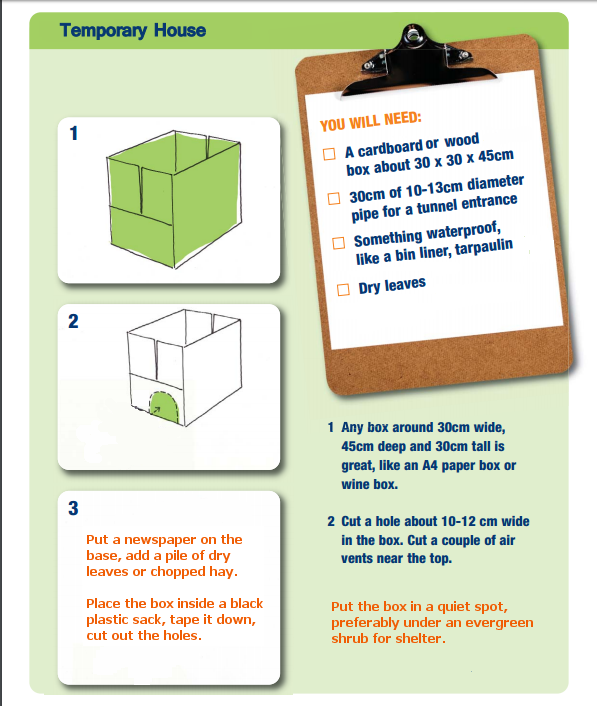 Make sure the hole you cut is the correct size, a minimum of 10cm / 4" so the hog can get out, pop the sleeping hog in the box before you wrap it in the plastic sack as you will not get a curled up hog through the door. My hedgehog is covered in blobs! Ticks are common especially in Berkshire where they are everywhere. Some carry Lyme disease but we don't have an issue with Babesiosis which is common on mainland Europe. There is no evidence so far that either of these diseases can affect hedgehogs. Research is underway. A healthy adult hog should be able to cope with a few ticks, probably up to 10 but when they are covered in the things they need help, usually because there is something else wrong with them which has prevented them grooming. We always recommend removal with either a tick hook or a lasso which, when used correctly causes no problems for tick or host. Once removed, always squash the tick by treading on it and doing the twist. They are very resilient. If you don't destroy the head part they can regrow the body. We have also seen one come out of a freezer after 6 months and start walking around once thawed.